Custom Vinyl Sticker Printing Service is offered to the customers to attain their maximum level of satisfaction. Moreover, it is executed by a team of experienced experts. We devote some-time with our customers so as to understand their demands related to budget and then deliver them to our customers so that our service will match with their demands completely. 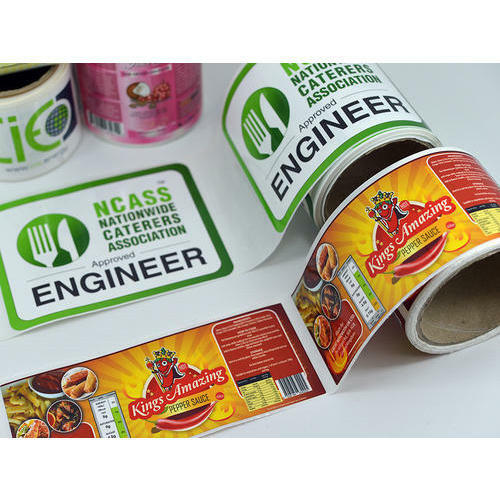 Under the strict supervision of our skilled professionals, we are Manufacturing a range of Printed Carry Bag, Adhesive PVC Sticker, Packing Pouch, etc. These products are extremely utilized by customers owing to their features and low prices.